and you have a connected home! 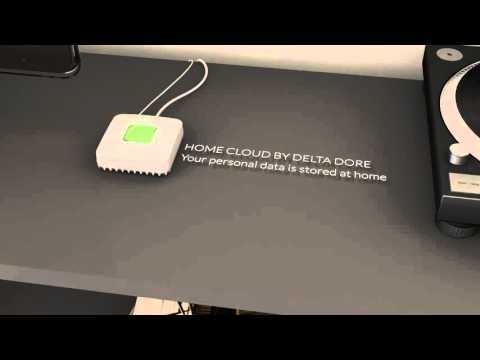 Have you had a Delta Dore alarm or thermostat, or an opening or lighting controller for less than 10 years? Make it connected for £122*. Without changing your current product or needing any redecoration works, our Tydom 1.0 home automation box allows you to control your device wherever you are. Contact us to check if your product is compatible! Adding Tydom makes life easier! Using the application with our home automation box, you can easily remotely control your heating, program your lighting or roller shutters around the sunrise and sunset, simulate your presence at home, etc. You will also be able to reinforce the security of your home by adding our Tycam connected camera so you can monitor what's happening at your home with your smartphone whenever you want. Welcome to the Tydom connected world! How can I install Tydom at home?